As I’m sure you know, we recently celebrated the news that, for the first time since records began, the number of mountain gorillas in the world went above the 1,000 mark. In fact, the latest census shows that there are now 1,004 mountain gorillas living in the Virunga Massif. When you remember that there were fewer than 300 left when Dian Fossey was carrying out her important work in the 1980s, this can only be seen as one of the greatest conservation success stories of our time. Successfully addressing the immediate threats facing mountain gorillas is a big reason for this remarkable turnaround. Thanks to the generous support of donors around the world, gorilla rangers have the equipment they need to keep the forest floors free from deadly snares. They also work tirelessly to preserve the gorilla habitat, for example by combatting illegal logging or mining. But now, it’s becoming increasingly apparent that, as well as these immediate threats, gorillas are also facing a less obvious, but equally dangerous longer-term threat: climate change. 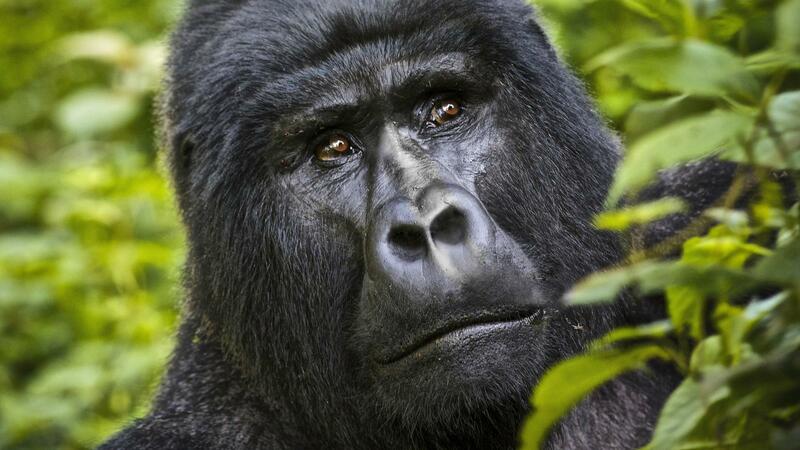 So, how exactly does climate change threaten mountain gorillas? After all, they live high up in the mountains, far away from the dangers of rising tides. To understand this, you first need to understand the Virunga Massif, the part of Africa where the mountain gorillas live. This is an incredibly beautiful and biodiverse place and the gorillas all live in protected reserves (the Virunga National Park in DR Congo, the Volcanoes National Park in Rwanda and the Bwindi Forest National Park and Mgahinga National Park in Uganda). But people also live here, too. Many communities, including growing towns, are located right at the boundaries of the National Parks. 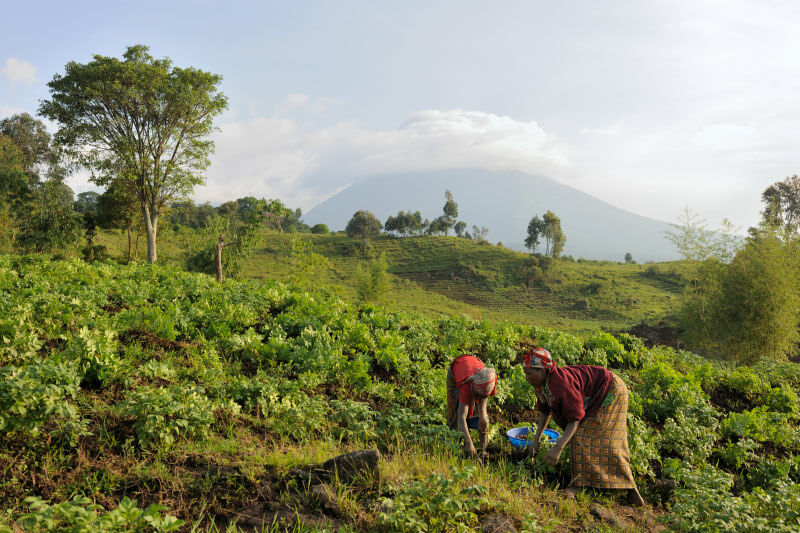 Many people are subsistence farmers, struggling to make a living for themselves and their families by growing crops in the volcanic soils. Thanks to a combination of better enforcement and outreach programmes that have explained the benefits of keeping gorillas safe from harm, we have succeeded in getting the majority of people to respect the National Park boundaries. However, we are now worried that the effects of climate change could undo all this. Above all, as the dry season gets longer and more intense, we will see more and more people go into the forest in search of fresh water to drink and to water their crops. I myself have seen just how much the weather here has been changing over recent years. We used to see the dry season come in July. We would be ready for this and make plans for three months with very little rain. Now, however, the dry season starts as early as the end of June and goes on until October. What’s more, there are no longer rainy days in the middle of the dry season as there were in the past. People are getting desperate. And desperate people are prepared to break the rules and go into the National Park in search of water. This doesn’t just put them at risk of arrest. It also puts the gorillas in danger. Scared gorillas might retreat further up into the mountains, and so farther away from rangers and vets who keep them safe. Or, it might mean that human-gorilla contact increases, placing the gorillas at risk of catching diseases. Here, fetching water is widely seen as a ‘woman’s job’. And since they can’t afford childminders, many mothers will take their young children with them into the forests, and the infants might bring their colds and other diseases with them. This is just one way in which climate change might threaten mountain gorillas over the coming years. Who knows what else might happen? Will mountain gorillas, with their thick fur coats, be able to adapt to higher temperatures? And will bamboo, their favourite food, continue to grow in abundance or will they have to adapt their diets too? We may not yet have the scientific data to prove a link between the changing climate and the rise in the number of people going into the parks for water, for example. But those of us working on the frontline of gorilla conservation are already seeing the effects of climate change in this part of Africa. And it’s not only affecting people, but it’s threatening to affect the gorillas too.